Craving bubble tea and Taiwanese desserts? 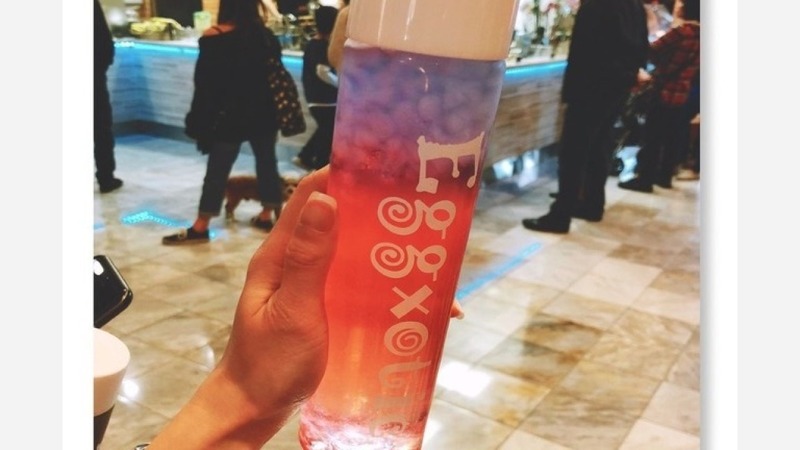 You're in luck: Eggxotic has opened in Stonestown Galleria. Eggxotic features both sweet and savory egg puffs in flavors like cinnamon raisin, garlic crab and chocolate banana. The crispy, spherical puffs are shaped like Danish ebelskivers, but are connected like a waffle. Drinks include both smoothies and bubble tea options. With a 4.5-star rating out of seven Yelp reviews, Eggxotic has been warmly received by patrons. "This place has drinks, and egg puffs or eggettes, whichever you like to call it," said Yelper Belinda C. "An egg puff or eggette is like a waffle. But for this location, they have stuff inside the egg, which is pretty common in Asia." Stacey L., who reviewed Eggxotic on April 21, said and her companions "the Oreo star, taro, seaweed and garlic crab. They all taste great!" Eggxotic is open from 10 a.m.-9 p.m. Monday-Saturday and 11 a.m.-6 p.m. Sunday.